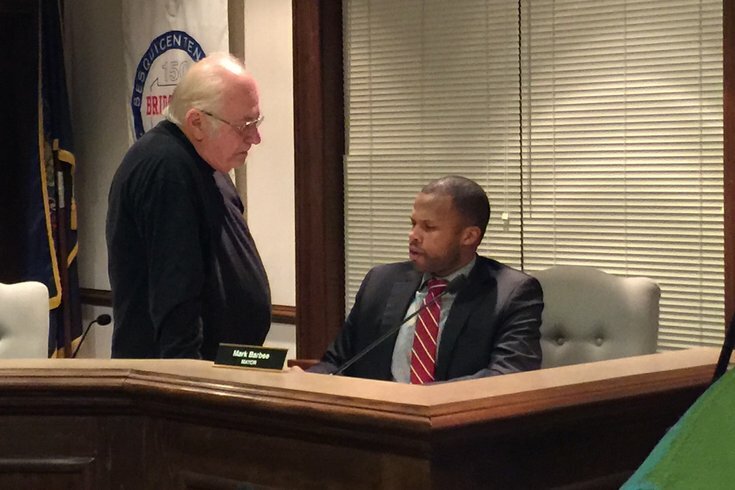 At 7:09 p.m. Tuesday – just one day after he went public with a story about facing death threats and racial slurs – Mayor Mark Barbee walked through a side door into the Bridgeport council chambers. He would be visible to the public but for a matter of seconds. Before the council session was scheduled to begin at the bottom of the hour, Barbee would join six council members, the borough’s solicitor and others for their regularly scheduled executive session. The tenor of that gathering wouldn’t become fodder for the gossip mill even if the topics – personnel matters and potential litigation – were later announced, as they always are in a limited sense. In council chambers, most of the 40 seats were already filled for a meeting unlike any that came before it in this small town located across the Schuylkill River from Norristown, the Montgomery County seat. They were right: it would get rowdy in there, but there would also be open declaration that things should, and will, get better. 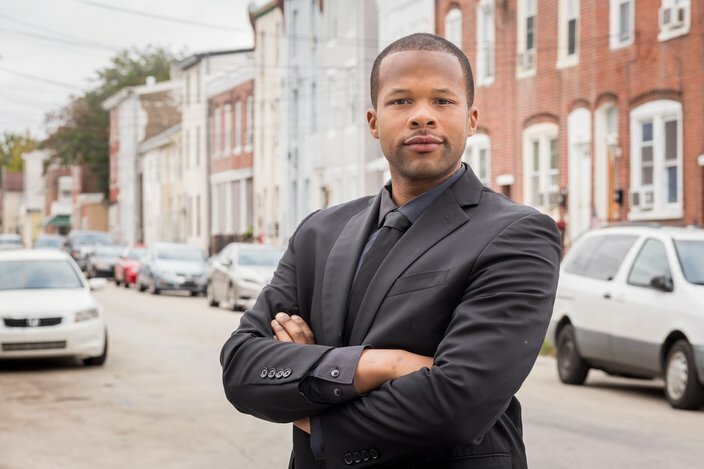 What attendees didn’t yet know was that, over the next two hours, Bridgeport would take tangible but small steps toward righting the perceived wrongs which left many wondering just how, in 2018, a gay, black man like Barbee could face threats, harassment and pushback in just nine months since his election. Within 20 minutes, the standing-room-only crowd had filled the seats and lined the walls, including the former police chief whose resignation after two months on the job apparently triggered much of the division. Those who arrived after the meeting began at 7:32 p.m. gathered in the outer hallway. On Monday, Barbee shared his story with PhillyVoice, airing Bridgeport’s dirty laundry well beyond its borders. His actions had a tangible impact. After everyone stood for the Pledge of Allegiance and a moment of silence for a lifelong Bridgeport resident who died recently, Borough Council President John Pizza would ask to deviate from the normal course of business. There were a trio of matters that needed to be addressed as quickly as possible. Approval came after one resident questioned whether those protections should be extended to those whose political inclinations go against the grain, only to learn that “Democrats and Republicans are not protected classes” in federal, state and local law. They would also accept the resignation of outgoing councilman Bill Lawless. After a dustup that left Lawless screaming profanely at Barbee during a pair of meetings in the spring – he asked why the mayor cited quotes from Dr. Martin Luther King Jr. since the civil rights leader was long dead – Lawless had pretty much stopped attending meetings despite rescinding an earlier resignation. Finally, Pizza would declare that he was unhappy with accusations that painted him as being racist. If he were that, Pizza said, he wouldn’t have worked to get Barbee elected mayor last year. 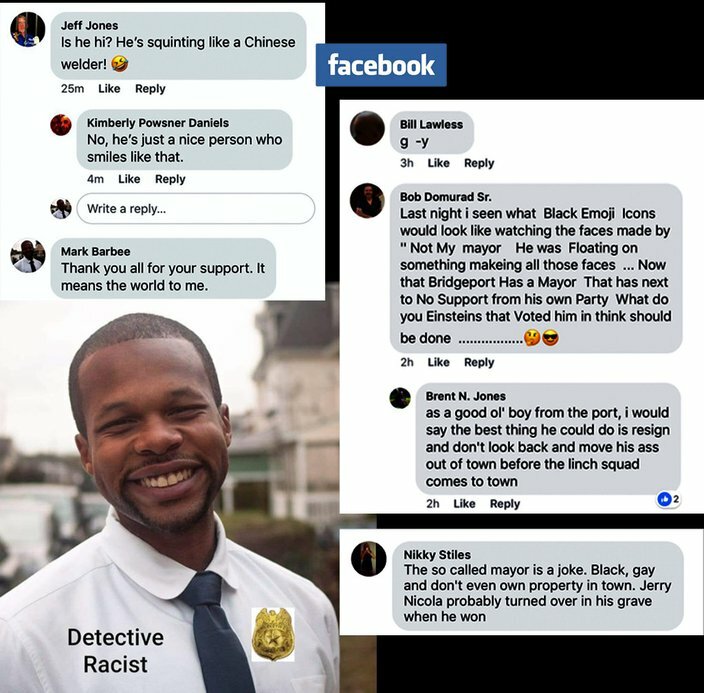 Mayor Mark Barbee, seen standing in the neighborhood “below the tracks” in Bridgeport, Montgomery County, has faced death threats and racial attacks. At an April borough council meeting, Barbee said that when he quoted Martin Luther King Jr. – “The time is always right to do what is right” – a councilman snapped, asking why bother citing the civil rights leader when he has been dead for a long time. Before hearing highly-anticipated comments from the public, borough leaders returned to a discussion about the underlying source of tension in the town: a proposal to merge its 12-member police force into the Upper Merion Township department. It was this – more than Barbee’s claims – that had people on edge. Indeed, residents were passing around a “Save Our Police” petition and posting flyers throughout the less-than-a-square-mile borough. On this issue, council members relented and gave Barbee a seat on the committee that would be involved in any discussions. Transparency, they said, was the goal of an idea that some were openly now questioning. The meeting’s agenda itself was light. They discussed a fire department fundraising boot drive, curb cuts, disabled parking placards and payment of bills and salaries. Soon, Barbee would ask each individual council person to refute the rumored notion that plans were in the works to push that merger through and make it effective at the start of 2019. “Council was so adamant about me not being a part of (the merger committee) that I’m a little weary of where we are at in the process versus where you say we are in the process,” he said. This prompted heated discussion among some members who thought Barbee was overreacting but also appreciation from some residents who said the mayor's actions proved he had their backs. Just after 8:35 p.m. – around the time the TV cameraman was packing up and leaving – it was time for public comment. The controversies of the week were also broached. For his part, Barbee noted that the unanimous approval of the resolution reflected progress from earlier this year, when a heated discussion – and split council vote – greeted the anti-discrimination ordinance he was pushing. After the meeting adjourned at 9:20 p.m., first-term Councilman Kyle Shenk said work started on the newest resolution as soon as the article started making the rounds. When he saw it, he knew the council had to take action and received immediate support from Pizza.